Wake Up With Ron in the U.K.
At 97.9 The Hill WCHL, and Chapelboro.com, we support local businesses, we are one! So we ask you to support GREAT local businesses like these! 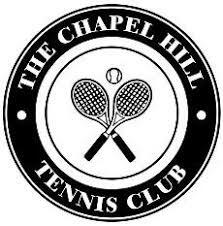 Chapel Hill Tennis Club is a major tennis, swim, fitness and recreational facility. Now offering NO initiation fees for annual memberships. Online at chapelhilltenniclsub.com. F&F Automotive services all makes and models and their tire sales offer amazing prices on top brands. They even outfitted 97.9 The Hill’s van. Located at 107 West Weaver Street in Carrboro, call or go online to schedule an appointment at F&Fauto.com. Gates Management and Realty are here to help you buy, sell, rent, and even decorate your home or investment property. We are here for all of life’s real estate needs. See how at thegatetohome.com. 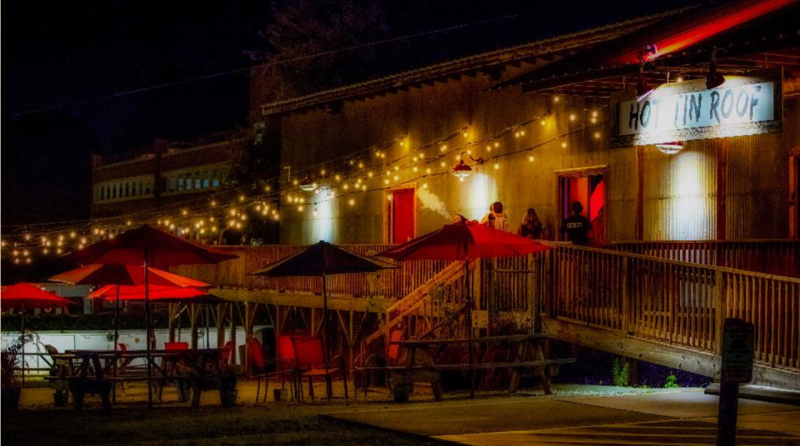 Check out Hot Tin Roof, with 21 Craft Beers on tap, best bourbon selection in Hillsborough, ACC, SEC, & Big 10 sports, Tuesday Trivia, and live music throughout the week. Visit Hottinroofbar.com! Clients say Vickie McDaniel is the best interior designer around for her ability to transform a space with unique touches tailored to you. 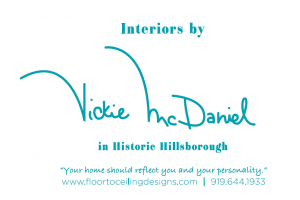 “Love where you live” and get in touch with Vickie at floortoceilingdesigns.com. 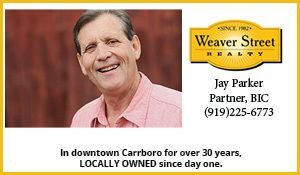 Jay Parker has been with Weaver Street Realty for all of their 36 years serving the community. With that wide experience and a practiced perspective, he’s puts all that to work for you. Call Jay at 919-225-6773. Find your dream home and let New American Funding do the rest. Call 919-659-0262. Or visit NAFNC.com. NMLS #6606. Equal housing opportunity. 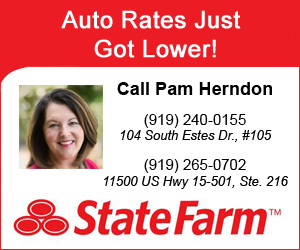 Pam Herndon State Farm Insurance, offering protection for Auto, Home, Business, Life and more, Your local agent, with offices serving Orange and Chatham County. It’s that time of year to get your yard in shape. The Rock Shop in Durham, a locally owned and operated business, serving our area for 35 years selling stones, topsoil, mulch, gravel, composts, pine straw and more. It’s not just about rocks anymore. Open for pick up or delivery six days a week. Visit rockshopnc.com today! Terri Turner has been with Weaver Street Realty for 17 years, and she knows her clients are looking for more than just square footage or acreage. She approaches the process like a partnership. Call Terri at 919-923-2345. You will love working with her! Triangle Jiu-Jitsu Academy offers fitness and fun for all ages, sizes and skill levels. Offering private instruction and group classes for self-defense, MMA and sport jiu-jitsu. Visit trianglejiujitsu.com and schedule your free trial class today! Chapelboro.com and WCHL, equal opportunity employers, are dedicated to providing broad outreach regarding job vacancies at the station. We seek the help of local organizations in referring qualified applicants to our station. Organizations that wish to receive our vacancy information should contact WCHL by calling (919) 933-4165. © Copyright 2019 Chapelboro.com. All rights reserved.